Rev. Fr. 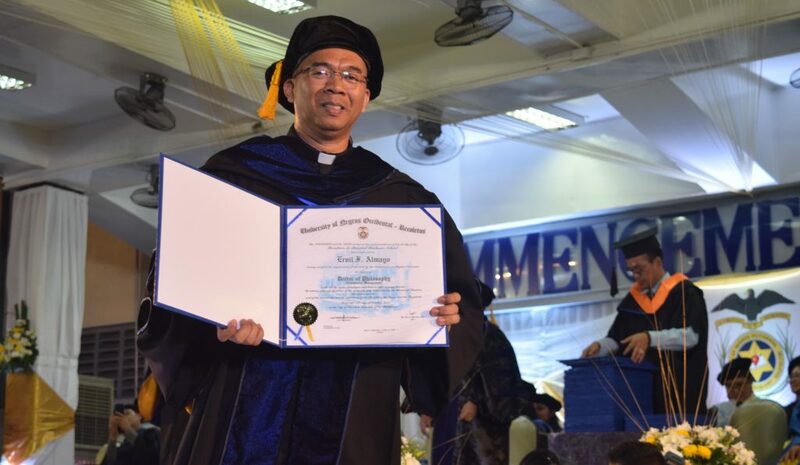 Jose Ernil Almayo was conferred with the Degree of Doctor of Philosophy major in Educational Management by the University of Negros Occidental -Recoletos Graduate School last April 07, 2018 during the 72nd Commencement Exercises. His dissertation entitled, “ Exploring the Brand Experience of Recoletos Education: an Interpretative Phenomenological Analysis.” was adjudged as one of the RBGS Most Outstanding Dissertations”.